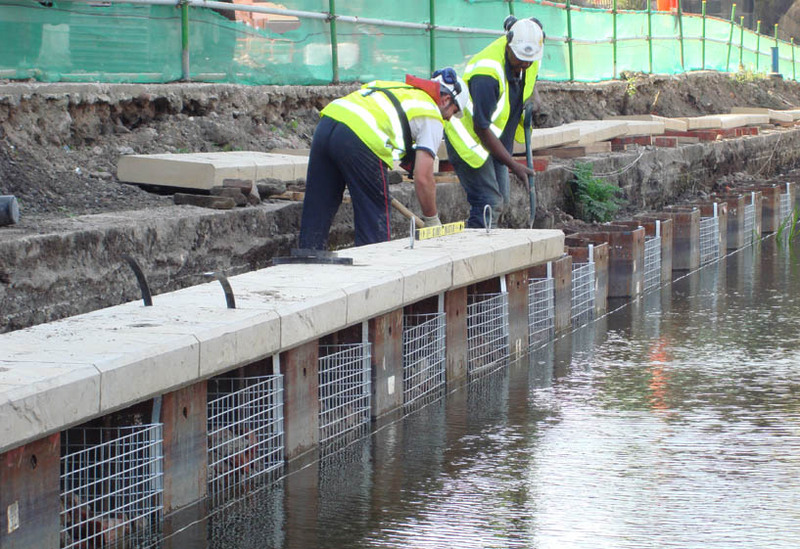 As one of the most experienced contractors working on the waterway system in the UK, Condor Projects Ltd can offer a simple and cost effective solution to river and canal wall stabilisation with their plastic sheet piling solution. Lightweight and durable, plastic sheet piling is perfect for areas of restricted access and weight limits such as canal two tow paths. 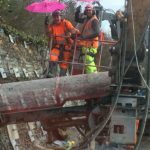 By reinforcing with steel piles within the plastic pile The Plastic Pile once hammered into the ground is strengthened and reinforced with steel piles. A dynamic process in itself using our own specialist scaffold rigs. Rubbing strip or fender provides protection from and to the canal boats and by using mechanical anchors provides an immensely strong and durable solution is available to any remote part of the UK.